Woori Catering is a part of Woori Food Market. We believe that food does more than nourish: food brings people together and we can create these remarkable moments and fill every occasion with great food and service. Take a delicious journey to find out about Korean food and what Woori Catering can do to make your event memorable. Catering is a vital aspect in planning and hosting any type of celebration or party. we have a lot of experience catering a variety of corporate, social and private events. We love to be involved in a myriad of events. 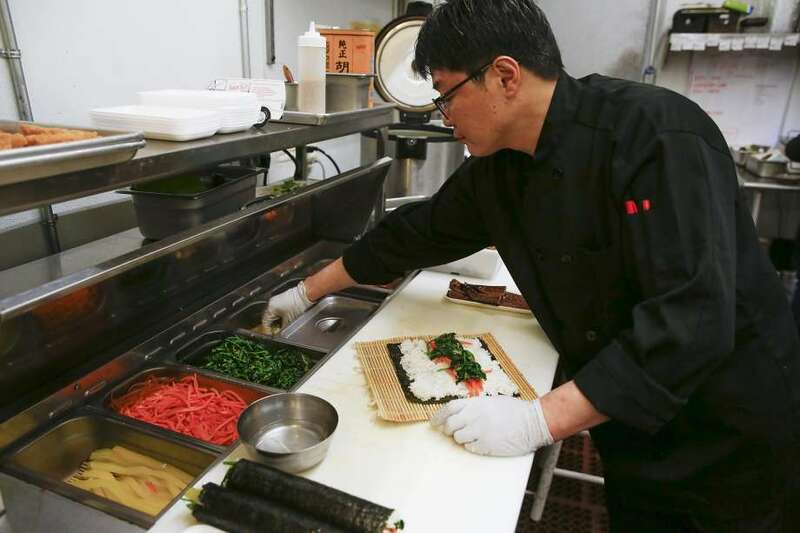 Chef Basilio Kang brings more than 20 years of culinary expertise to Woori Catering. 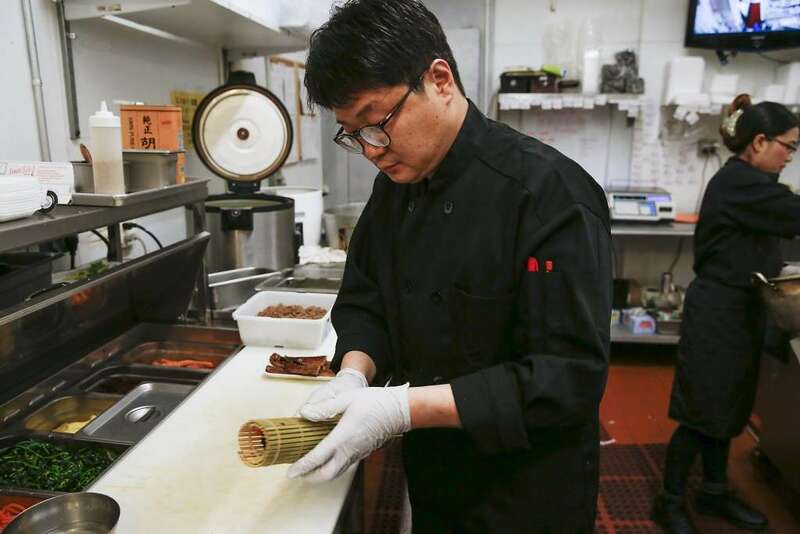 His culinary specialties are home style comfort foods, including developing unique recipes for Korean fusion. 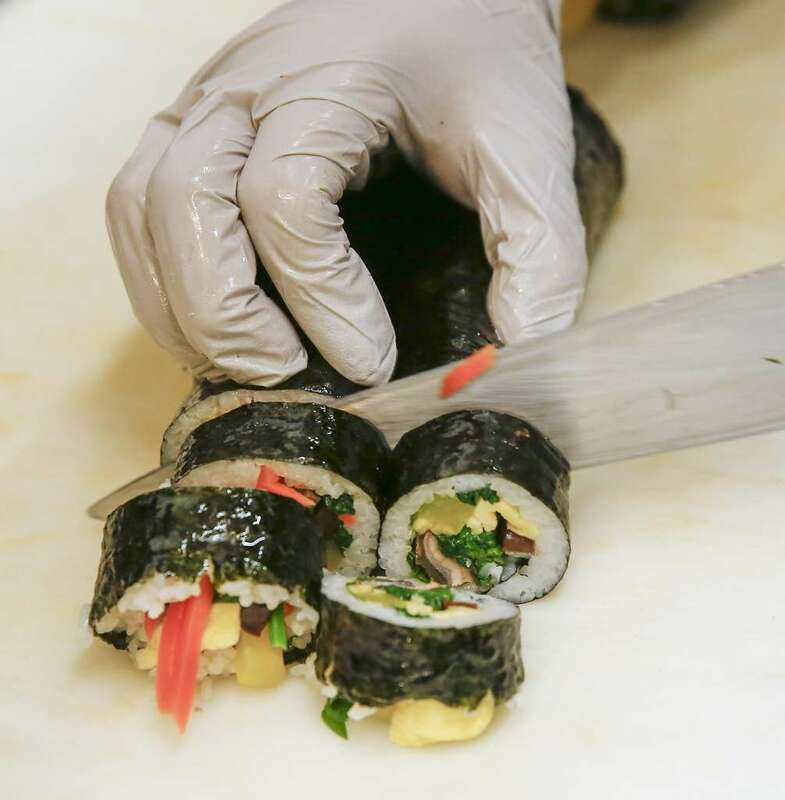 Every meal is prepared with fresh ingredients provided by Woori Food Market. Woori Food Market serves us with the highest-quality, sustainably-produced food from local Bay area farmers, ranchers and artisans. Place a sheet of gim (seaweed) on a bamboo mat and evenly spread cooked rice over top of it. 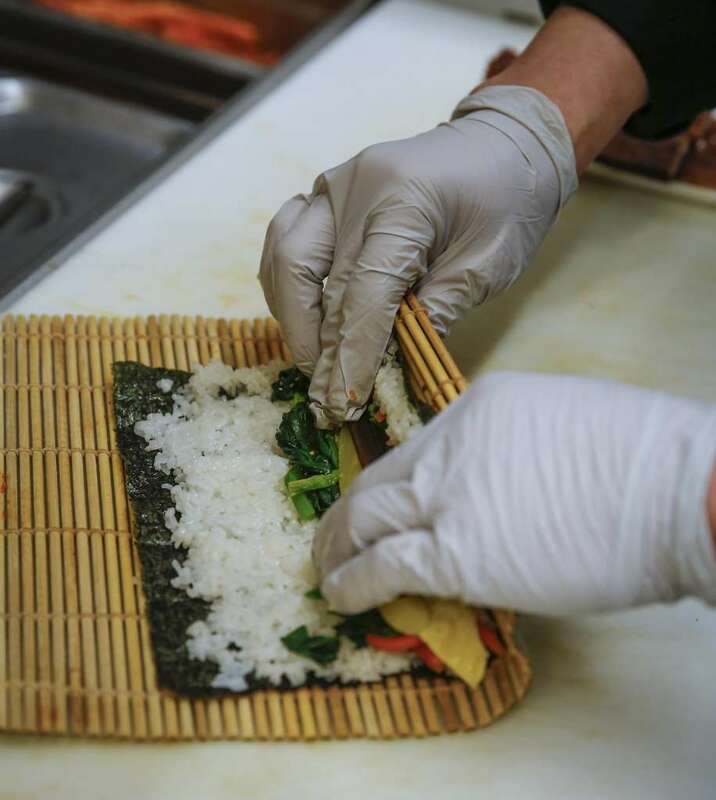 After placing all the ingredients, roll it from the bottom. Hold the roll firmly and press evenly. Too busy to make these at home? Visit Woori Market for already made delicious gimbaps!